...or do we really need 7000 yards? Our home is different from the one across the street. When the new neighbors moved in, they invited my wife and myself to a party. They showed me around their house and I soon discovered it had several more bedrooms, bathrooms and other amenities compared to ours. Certainly these neighbors have dedicated the money, time and effort to acquire and care for a house like this. Ever since that tour I’ve occasionally caught myself even envying their home because of its greater status. But my wife and I still feel satisfied with our own home – despite it is relatively modest compared to theirs. We find our house comfortable, warm and inviting, even though it isn’t the biggest one in the neighborhood. But ours doesn’t have to provide living space for five kids, like the house across the street does! So, golf courses can be compared in a similar way. Home courses should be designed to fit the true interests of their members or regular players. Courses should be a good match for the available time and other conditions of their “residents,” not just be a carbon copy of every other course in the neighborhood. Today’s standard or regular golf course is 18 holes, par 70 to 72 and more than 6,000 yards from its back tees. 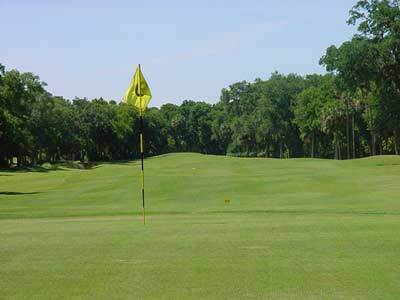 Newer courses often play more than 7,000 yards. These courses are great for golfers who have the time to play them, the money to pay their fees and the golfing skill that is demanded to enjoy them. Regular courses are not necessarily the best choice for starting golfers, nor are they the best home course for anyone that doesn’t already possess the time, skill and funds to play them. Nine-hole, executive, par-3 and pitch & putt are some of the courses that have recently been labeled “Alternative Golf Courses”. Alternative courses are in fact, more enjoyable to many golfers than regular courses. This is because most of us can’t play golf nearly as well as the pros do. In my career I’ve seen far too many young and beginning golfers completely demoralized by playing their first few rounds on a “Championship” golf course. Right now, golf would most certainly gain even more popularity if there were additional courses built for the average or casual golfer. Alternative golf courses require less land, are cheaper and far more enjoyable to many golfers. They are also quicker to play compared to regular courses. Many smart course developers have already realized the automatic advantages of alternative courses and are benefiting from their investment. Trust me, these new home courses are loved just as much by their regular golfers as the ones across the street!